Reduce retail crime and unsocial behaviour in your town centre, shopping mall or pub. DCS 2 Way Radio Ltd operates several Shopwatch and Pubwatch Schemes throughout the UK. By providing town centres, shopkeepers, public house landlords and/or security guards with a hand portable radio, this allows them to be in instant contact with each other, a CCTV control room or police officers on patrol. 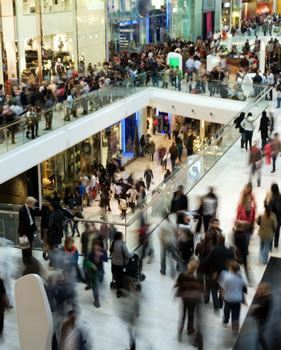 Whether it be a small village, large town centre high street, shopping mall or industrial estate; this communication is vital in passing information between retailers of any suspected shop lifters or trouble makers. The Shopwatch and Pubwatch Schemes allow our customers to be proactive in preventing crime rather than only being reactive to crime. The schemes are particularly effective when combined with CCTV so that control room staff can be alerted via radio and can then ensure that their CCTV cameras are directed at a certain area where a crime is being committed, leading to more effective prosecution of the perpetrator. If you have a requirement for a Shopwatch or Pubwatch Scheme in your area, please contact us on 0800 294 7766 to discuss your requirements further.